Wireless access is available on all floors of the Library. For information about wifi locations across campus, consult the listing of Wireless Enabled Locations on the CCS website. If you wish to use the wireless network, configuration instructions for your laptop, iPhone, and iPod Touch are available on the CCS website. 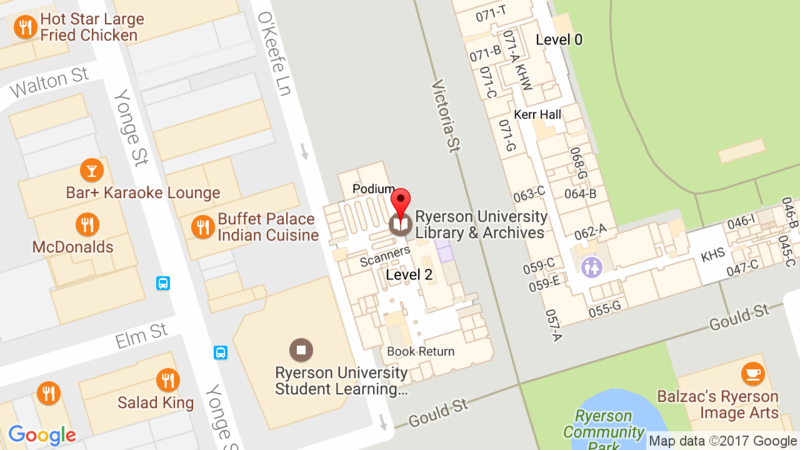 Ryerson is a member of eduroam, a collaborative, wireless network that allows students, staff and faculty from other member universities to securely access the Internet while visiting another member institution. Check the CCS website for instruction on how to configure your mobile devices to use eduRoam at other universities. Visitors from other universities should check the list of participating institutions and your own institution’s eduroam information page for configuration and login information.